1. Start Small: Break your big goals down into the smallest parts. For example, if you'd like to get out of debt, you need to make a checklist of all the strategies you need to try to do so such as cancelling credit cards you don't use, paying $5 extra per month on your highest loan, shopping for lower interest rates, etc. Start with just one piece of the goal at a time. Just check off one item per week until you're well on your way to financial freedom. It's easier to stick with small changes you incorporate over time versus implementing a whole bunch at once. 2. Practice your New Year's Resolution: Testing out some of the habits that you want to change will give you a feel for what types of obstacles you'll be facing. And if you know what obstacles you'll be facing, you can make a better action plan, helping you to solidify your final plans. Test the waters in the next two weeks. Maybe you'll find that outdoor workouts this time of year just aren't going to work for you. Good thing you found that out now, not mid-January! Maybe you'll find that you need to gather a few more resources. Maybe you're going to start a weight loss plan on Jan 1, but you don't know how to lose that weight. Check some healthy cookbooks and fitness magazines out from the library this week! Start listening to weight loss podcasts while you work. Plan out your workout schedule for the entire month of January in your Google calendar. This goes for any type of goal you wish to set for the new year. Gather all your supplies and test out your plans. Tweak from there so you are fully prepared once January 1 rolls around. 3. Establish SMART Goals: that SMART acronym is such a foolproof way to set goals. Your goals should always be specific, measurable, attainable, realistic and timely. For a refresher on what these all mean, look here. Your goals must be written and understood in a way that is trackable, has a time limit, and isn't beyond your realistic capabilities. Make sure every resolution you make follows the SMART guidelines. 4. Reward System: Put a reward system in place as soon as you reach those measurable goals. Knowing you're going to treat yourself to a massage or your new favorite book after losing 5 lbs just might give you that extra push you need. Just like in school, you deserve a tangible way to tell yourself "way to go!" Rewards also make the process of achieving your goals much more fun. Would you rather run 4 days a week for a month just to increase your speed or to increase your speed AND enjoy a massage? See what a difference that little reward makes? 5. Make your Goal Emotional: Emotional goals are much more compelling than more shallow, vain ones. Find a way to make your goal hit straight to the heart. For example, instead of losing weight to fit in a bikini, how about reframing your thought process? What will it feel like to be healthy? Will you feel light and carefree? Will you feel capable and strong? Use those emotions to propel you toward your goals. Run your miles for cancer survivors. Beat a medical condition before it even starts. Create a family bonding time with nightly walking rituals. Whatever you do, connect to your goal on an emotional level to make it that much more meaningful. 6. Start Over: Most resolutions fail by after about one month. In fact, only 64% of resolution makers even make it to the one month mark. Don't be one of those people! If you fall off, get back on. Start over. What I want you to do is to set your start-over dates right now. Start over on January 15, then on February 1, then on February 15 and so on. All-or-nothing thinking will only make you frustrated. Slip-ups are allowed, as long as you keep the forward momentum. If you allow yourself a little wiggle room and a few extra chances, you leave more room for goal achievement. Plus, tackling your goals in 15-day chunks seems much more do-able, right? 7. Join a Challenge: Find a challenge that begins on January 1 right now that coincides with your goal. 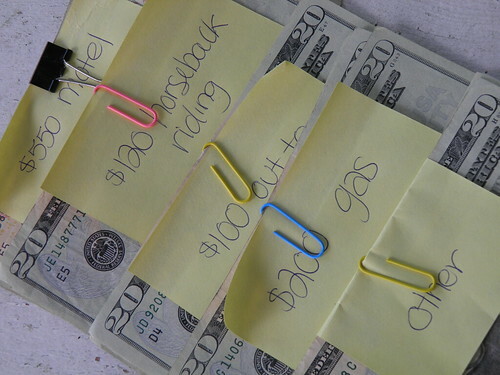 Plenty of Diet Bets (with monetary rewards) and money challenges will be beginning in the new year. Find one now and get psyched to start! 8. Put it in Writing, in Public: Social support is one of the key factors to goal adherence. Make sure you post your intentions on Facebook, Twitter, Instagram, or wherever else you'd like. Once it's out there, in writing, you are less likely to falter. You can't fly under the radar anymore, and that's a good thing! Simply posting your resolutions will give you another extra push to make sure they happen. 9. Join Forces: Does someone else close to you have a similar goal? Try doing the tasks with them, or at least check in with one another. Find a Twitter buddy--Twitter is teeming with fitness and money buffs that you can make easy friends with. At the very least, follow some of your favorite fitness, money or other related personalities. Checking their tweets every day will be a source of constant motivation. It's amazing what healthy pictures on Instagram and motivating quotes on Twitter can do for a person when they're running low on fuel! 10. Research: Wanting to save more money? Research your investment options beforehand. Lose weight? Read articles on fitness and nutrition in your free time. The more you know, the easier it will be to implement your plan, the more competent you'll feel, and the more pumped you'll be! Just don't get too overwhelmed with the details that you never start to begin with. Just start! You'll find that over time you start to absorb the information, so don't try to memorize every little thing. Just cultivate an awareness and understanding of what you're doing before you start so you can start strong! Sign up for a few newsletters and check a few headlines every morning to stay in-the-know. I wish you the best of luck with your New Year's resolutions and have a wonderful holiday. 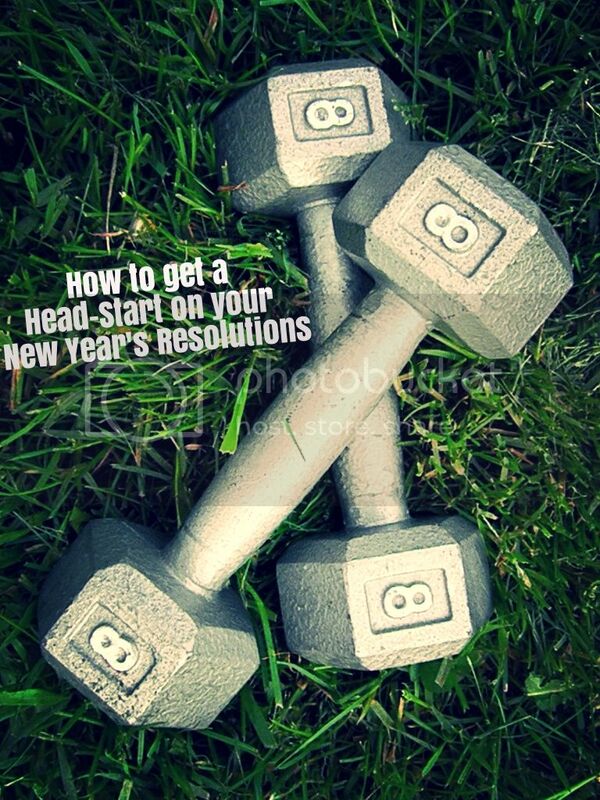 Report back if any of these tips helped you create a resolution that stuck. I'd love to hear about it.